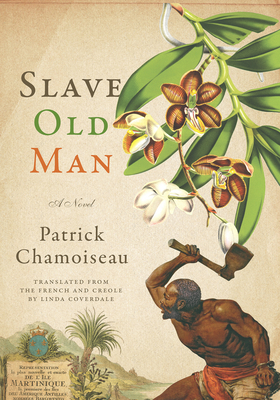 From one of the most innovative and subversive novelists writing in French, a "writer of exceptional and original gifts" (The New York Times), whose Texaco won the Prix Goncourt and has been translated into fourteen languages, Patrick Chamoiseau's Slave Old Man is a gripping, profoundly unsettling story of an elderly slave's daring escape into the wild from a plantation in Martinique, with his master and a fearsome hound on his heels. We follow them into a lush rain forest where nature is beyond all human control: sinister, yet entrancing and even exhilarating, because the old man's flight to freedom will transform them all in truly astonishing--even otherworldly--ways, as the overwhelming physical presence of the forest reshapes reality and time itself. Chamoiseau's exquisitely rendered new novel is an adventure for all time, one that fearlessly portrays the demonic cruelties of the slave trade and its human costs in vivid, sometimes hallucinatory prose. Offering a loving and mischievous tribute to the Creole culture of Martinique and brilliantly translated by Linda Coverdale, this novel takes us on a unique and moving journey into the heart of Caribbean history. Born in Martinique, Patrick Chamoiseau is the author of Texaco, which won the Prix Goncourt and was a New York Times Notable Book, as well as Creole Folktakes, among other works. Linda Coverdale has a Ph.D. in French Studies from the Johns Hopkins University and has translated more than seventy books. A Chevalier de l'Ordre des Arts et des Lettres, she has won the 2004 International IMPAC Dublin Literary Award, the 2006 Scott Moncrieff Prize, and received the French-American Foundation's 2008 Translation Prize for Jean Echenoz's Ravel (The New Press). She lives in Brooklyn, New York.